Welcome to the world of RSA! Professionalism with system – meaning: as a system supplier we always look at the overall picture. Not as an end in itself but because we’re convinced we can only provide you with the best products. Products which will seamlessly integrate into your manufacturing process, are efficient and consistently deliver the perfect quality you expect. The world of RSA is the world of our customers. They set the standards we have to live up to. Our modular, highly efficient and reliable sawing centres, deburring machines, brushes and saw blades provide you with optimally coordinated modules for stand-alone use or in line with other machines. As a family owned medium sized company we also base our actions on three principles: thinking long-term, innovation and highest quality. Our mentality isn’t quick success but long-term partnerships. The basis is absolute professionalism and reliable products and services. This is our declared objective. We want you to be know you can count on us, from initial contact to after-sales service. Even years later. Technological development requires a constant flow of new solutions. Innovation has therefore become a crucial requirement for market success – yours and ours. 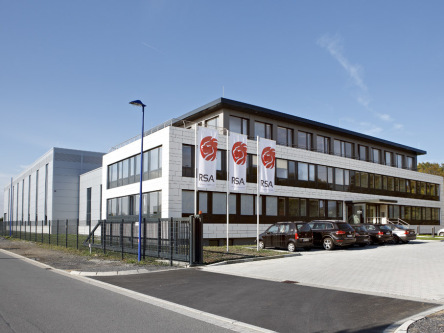 Since being founded, RSA has always been one of the leading innovators in its market segments. We pass this know-how on to you so that you too can further your competitive position. We demand the highest quality, reliability and efficiency standards of our machines and tools. Just as you do. Whether it’s a large machining centre or small special brush. And since we know this we keep working on our products until they meet these standards. We also consider this professionalism. We’re as flexible as our products. Flexible solutions require flexible thinking. Whether in product development or service. We develop and manufacture machines and tools following this principle. Only this allows us – and our customers – to be successful. We will provide you with individual solutions customised to your needs. We will already consult you during planning and support you throughout the process all the way to initial start-up. Of course we’ll still be by your side afterwards. Around the world.